This is a close-up view of sea oats and a cluster of shells on the shore. 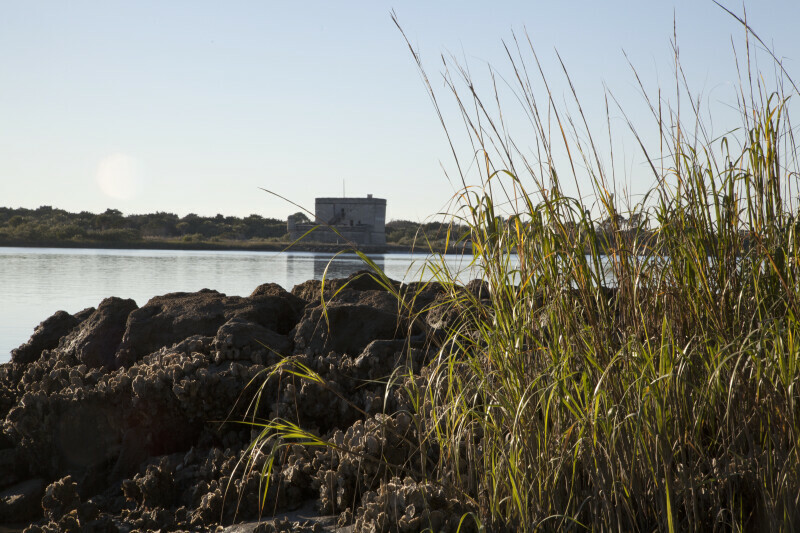 Fort Matanzas is located on Rattlesnake island next to the matanzas river inlet. The fort is listed on the National Register of Historic Places, as Fort Matanzas National Monument.